Looks most like Steatoda grossa to me. It has the upper abdomen arc marking and the size and texture of Steatoda grossa. It has some triangulate markings like S. triangulosa, but they don’t connect and could be the markings of S. grossa. 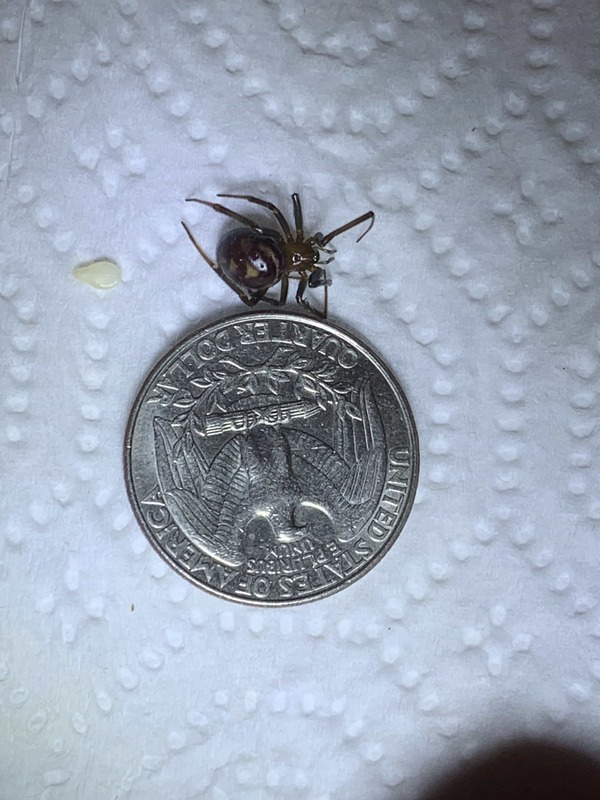 So, I’m going with Steatoda grossa too.